Rivera was not at 100% last cross country season as a leg injury that happened during the summer put him on the shelf for most of the hot season. Unfortunately, he could never find the groove like he had sophomore year. 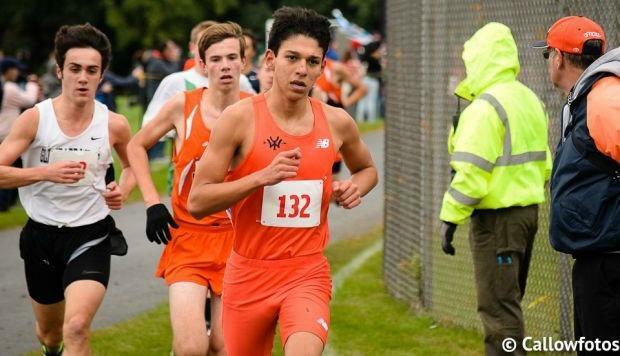 It was then that Rivera nearly barely missed all-state honors when he took 26th place with a time of 14:51. The question now is 'Can Rivera reach the same heights as former teammate Clayton Mendez?' I don't have all of the answers, but if I had to speculate, the final answer would be yes. For example, Rivera blazed 4:13.47 for the 1600m which rated him as one of the elite distance runners in the state. Speed and endurance will play an important factor in the end and Rivera has both of those elements.